Un exemple d’exploration régional au-dessus d’un secteur couvert par un mort-terrain de forte épaisseur. 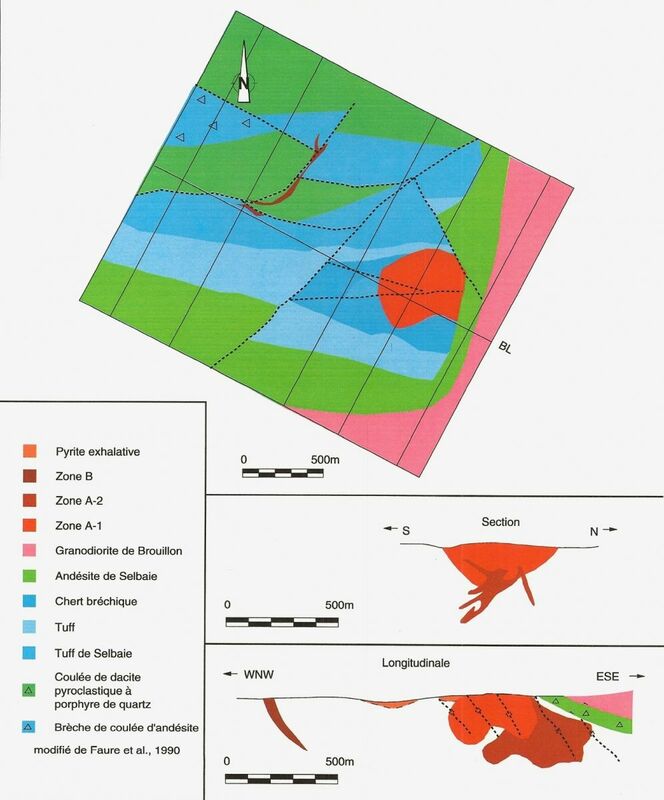 The Abitibi Belt is a region rich in mineral deposits; however, bedrock exposure is limited and overburden can be in excess of 50 m thick. 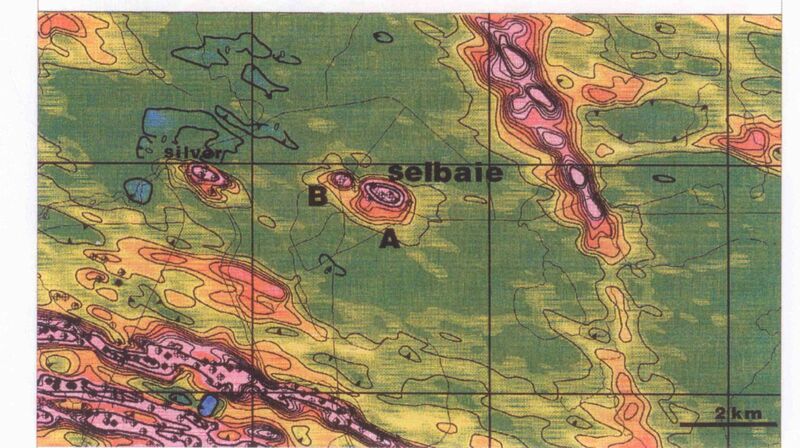 The Selbaie VMS body is one such deposit. 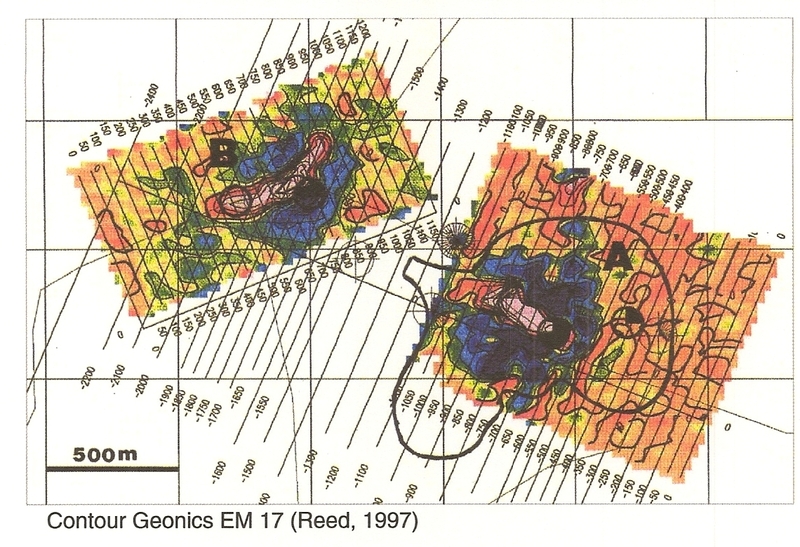 Starting in the 1950s the GSC conducted regional aeromagnetic surveys to help with geological mapping and mineral exploration in the Abitibi Belt. 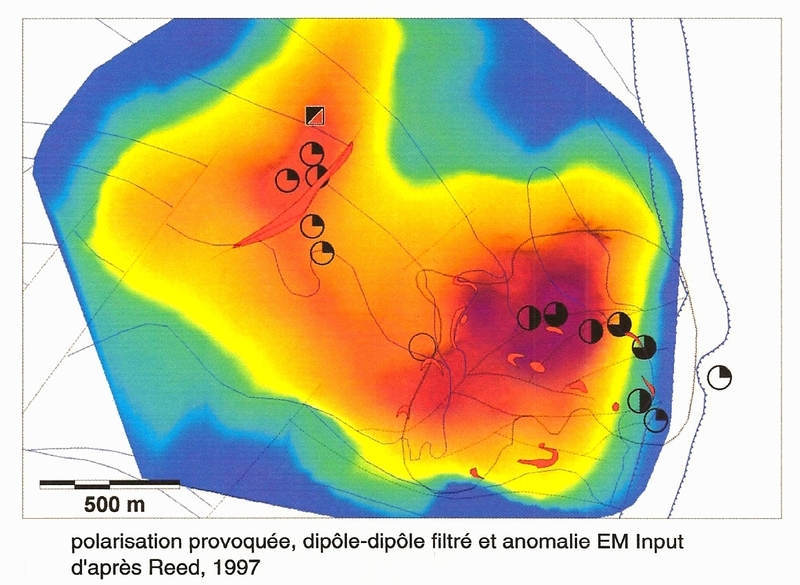 Later the region was covered by Airborne EM surveys. 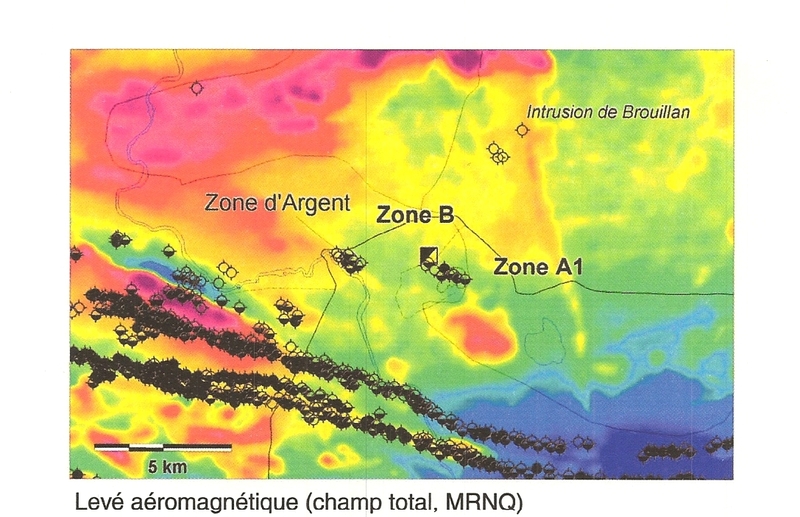 Investigations of EM anomalies that were roughly coincident with circular magnetic anomalies led to the discovery of the Selbaie deposit. Following the discovery a ground based FDEM survey was conducted over the anomalies. A dipole-dipole IP survey also successfully detected the deposit.